CHANGSHA, China, Sept. 12, 2018 /PRNewswire/ — On August 26, SANY HEAVY INDUSTRY CO., LTD (hereinafter referred to as SANY Heavy Industry) released its performance announcement of the first half year of 2018. By June 30, the company achieved sales revenue of 28.1 billion yuan (4.09 billion USD), year-on-year growth of 46.2 percent; the net cash flow from operating activities reached 6.221 billion yuan (906 million USD), year-on-year growth of 5.55 percent, the highest record in the same period of its history. The net profit achieved 3.389 billion yuan(494 million USD), an increase of 192.09 percent over the same period last year, reaching 161 percent of the net profit of year 2017. Driven by infrastructure construction, the growing demand for the renewal of equipment and the increasing awareness for environment protection, the sales of the company’s excavating machinery, concreting machinery and hoisting machinery maintained rapid growth. 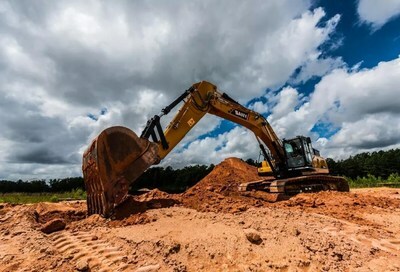 In the first half year, SANY Heavy Industry achieved sales revenue of 11.16 billion yuan for excavator machinery, year-on-year growth of 61.62 percent, which has been the domestic sales champion for 8 consecutive years; the sales revenue of the concrete machinery reached 8.549 billion yuan, year-on-year growth of 29.36 percent, ranking as the top brand in the world; the sales revenue of the hoisting machinery achieved 4.102 billion yuan, an increase of 78.47 percent over the same period of last year with steady promotion of its market position; the piling machinery and road machinery also achieved rapid growth, increasingly expanding their market share. Benefiting from the significant growth of the sales revenue and the increase in profit making, the company’s gross profit rate is 31.64 percent, 1.57 percentage higher than that of 2017. The Net profit attributable to shareholders of listed companies is 3.389 billion yuan, reaching 161 percent of the full-year level in 2017. The company has been paying attention to management quality and risk control. Based on a perfect risk control system, the company has good control on the business risks. The company’s cash flow for operating activities is 6.221 billion yuan, a year-on-year growth of 5.55 percent, the highest level in the same period of the company’s history. SANY Heavy Industry has taken great effort in business renovation and transformation since the beginning of this year. It has achieved remarkable efforts in digitization, intelligentialization and mass entrepreneurship and innovation platforms. The company is fully pushing forward the digitization and upgrading of marketing service, R&D, supply chain and financial affairs by implementations of the projects of CRM, PLM, SCM and GSP. Additionally, SANY-SPARK incubator focuses on the incubation and operation of projects relating to AI, big data, internet, Internet of Things and new materials. It has won 14 honors, including the national innovative space for intelligent manufacturing and the national-level innovative space. In the first half year, SANY Heavy Industry invested 1.426 billion yuan in R&D, year-on-year growth of 73.12 percent. It developed a number of competitive products such as SY155H excavator for mining use, SAC2200T all-ground crane and SYM5230THB370C-8 truck-mounted concrete pump. Its new businesses in fire pumper and intelligent residue vehicle maintained steady development. According to statistics, the company has applied for 7,609 patents and been authorized 6,253 patents by June 2018, ranking No.1 in China for the applied patent quantity.